Asia is the fastest growing region in the world for Internet dating and matchmaking. The Internet Dating Excellence Association will host this not-for-profit international gathering of by-invitation-only CEOs and executives of leading online dating and matchmaking companies. Fly in Friday. Depart Tuesday morning. We'll stay at the amazing beachside 5 star Leela Palace. The IDEA World Officers Weekend is designed to help you get to know other CEOs in the dating industry. For IDEA WOW we'll explore the culture and best parts of Chennai, have some amazing and authentic culinary experiences, and learn and share with each other over the weekend. IDEA WOW dovetails perfectly with IDEA SUMMIT. Then IDEA SUMMIT will take place in the board room of the Matrimony Worldwide HQ on Monday 8th April, led by Muru and Mark. IDEA SUMMIT will be small and focused and like no other dating industry gathering you've ever attended. There are 15 seats in the Matrimony boardroom. You'll meet fellow CEOs and top flight executives from a diversity of leading dating and online matchmaking companies from around the world. The most unusual thing about IDEA SUMMIT is there are no attendees. Just presenters. Everyone is a presenter. So please bring your best ideas on how we can improve and grow the effectiveness of the dating industry as a whole. Presentations will be 15 to 30 minutes, on matters currently affecting the growth of the industry, challenging issues worthy of collaboration, opportunities for collective growth, and highly inspirational and informative growth stories. This event is for senior executives personally and professionally invested in the dating industry. This will be a unique, uplifting and essential event that will inform your strategy, and help align you and your company with the best of what this industry will become. This is a closed-door session. So no video, no reporters, and no blogging about the details of the event. Muru founded Matrimony in 2000. For the last 18 years he's pioneered matchmaking and online matrimony in India and now employees over 4000 people with 140 locations. He's an angel investor and a Harvard grad. Muru is your co-host. Andrey has been the CEO of Mamba, the top Internet dating service in Russia, for over 13 years, since 2005. Before that he was head of Begun, which pioneered PPC advertising in Russia. Based in Moscow. Sai is the Chief Portal and Mobile Officer and has worked with Matrimony since 2000. Over the last 18 years Matrimony, Sai has led the R&D team, architecture design and mobile advances. Violet and Jamie Lee started Lunch Actually in 2004, which makes them veterans of the dating industry after 14 years. They have dating brands in Singapore, HK, Indonesia and Thailand and are based in Singapore. Woo is India's answer to Tinder. Ritesh grew Woo to a user-base of several million. He's a proponent of culturally specific Indian dating apps in India. Ritesh knows branding, and previously worked for Diageo, Ogilvy, & J.Walter Thompson. HQ in Gurgaon, Delhi. Maria is a 4th generation matchmaker based in the Empire State building, NYC. She leads the Matchmakers Alliance which is a network of the most successful matchmakers around the world. Very few people have more than 20 years tenure in the dating industry. John has spent 24 years building leading Premium International Dating (PID) service 'A Foreign Affair' and Loveme.com to 150 employees in 10 countries. Carsten is a dating industry veteran of 18 years. First he set up Operations at FriendScout24. He was employee #1 at be2. He's been MD since 2011 and now runs premium brands (be2, C-Date) in 37 countries with a team of 160. Munich based. Jason founded the Successful Match group of dating sites in 2001. The group now includes Millionaire Match, Interracial Match, Large Friends and many other niche dating apps and communities. 10 years ago Michael started Hubpeople. The company offers white label dating SAAS solutions to media companies and entrepreneurs who want to start their own dating brands. Based in Isle of Man. Ken leads marketing for LoveMe.com and A Foreign Affair and has built a marketing and operations network that covers 250 affiliates and 35 countries since co-founding the company 24 years ago. HQ is in Phoenix, AZ. Pawan has worked on product growth projects for Twitter, Snapchat, Wechat and YikYak and has an MBA from MIT. He has led the BetterHalf.ai team since July 2016. Gloria was instrumental in the seeding of Badoo, the growth of Wamba, and now runs Mamba out of London. She started in January 2005 with Badoo and has worked with Wamba and Mamba since 2011. IDEA WOW + IDEA SUMMIT is a not-for-profit gathering hosted by Mark & Muru. A unique opportunity to get to know your peers, the most senior managers of leading Internet dating and matchmaking and matrimony services in the world. Compare notes, learn and share, and form meaningful business relationships. COST - There is no event fee. Matrimony provides the IDEA SUMMIT venue. You'll cover taxis, meals, WOW outings. and hotel. GROUP - 15 people are along for IDEA WOW / IDEA SUMMIT. 13 are CEO/MDs, 12 have 15+ years in dating, 12 are founders. This is a one-off not-for-profit informal gathering organised and subsidised by IDEA. You'll meet other CEOs and executives from online dating companies from around the world at this event. Spouses are also welcome. Compare notes, learn and share, and form meaningful business relationships. WHAT'S COVERED BY IDEA: Food and drink at the mansion. There's 6 bedrooms at the home, but they're all taken now. There's plenty of hotel and Airbnbs available in the vicinity however. WHAT'S NOT COVERED: Taxis, Meals out. Hotel accommodation. DISCUSSION: Your personal growth stories. Why are you in this business? DISCUSSION: What one thing will you do as a consequence of this IDEA gathering? Muru and Mark are your hosts. Muru is the CEO of Matrimony.com and is co-hosting and leading the first ever IDEA WOW + IDEA SUMMIT. Mark is the CEO of Internet dating agency-consultancy Courtland Brooks and is organizing and co-hosting. The event is by-invitation-only for the most senior members of IDEA.gp. Online Personals Watch is the media sponsor. See www.OPW.news. 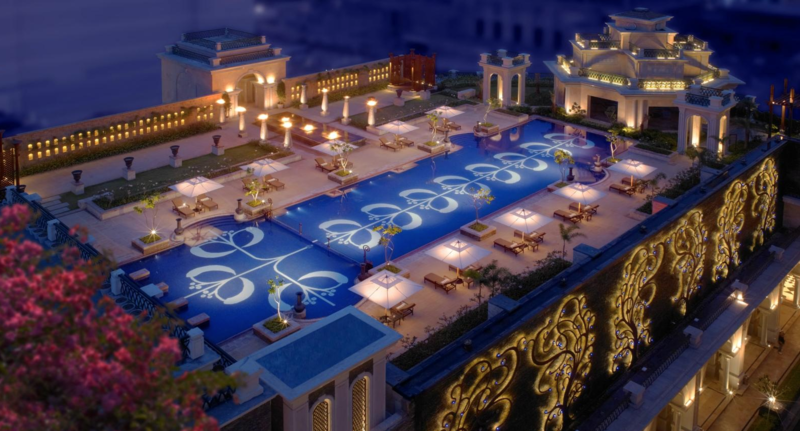 Chennai's fabulous Leela Palace is a great place for us to get to know each other better, and be our base for exploring Chennai for IDEA WOW (World Officers Weekend). IDEA SUMMIT is at Matrimony's worldwide HQ , which is a few minutes walk from Leela Palace. This is a very special initiative designed to bring the industry together. No vendors. No media. Just us, for a fun weekend, followed by a serious meeting of minds on the Monday.